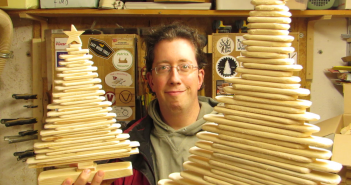 Christmas is a great time for making things. 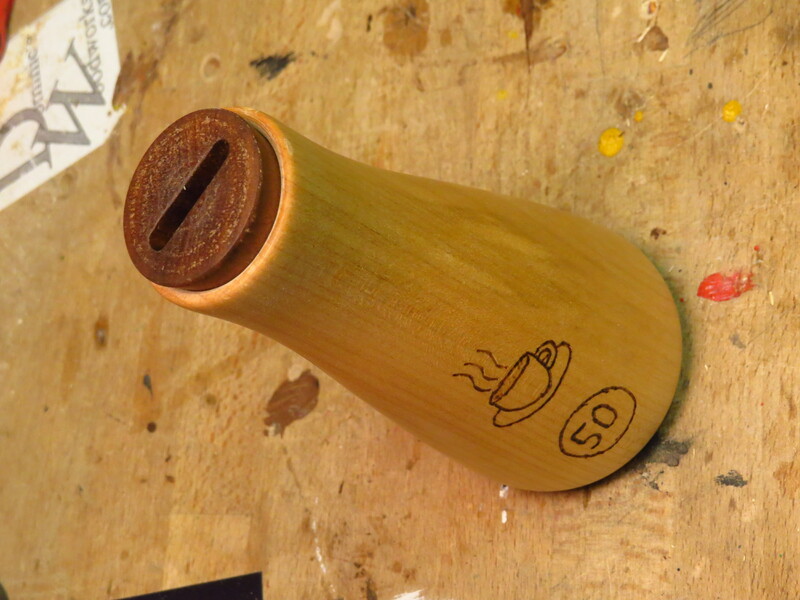 So what better reason to introduce my oldest daughter to the lathe in this newest Adventure in the Workshop? 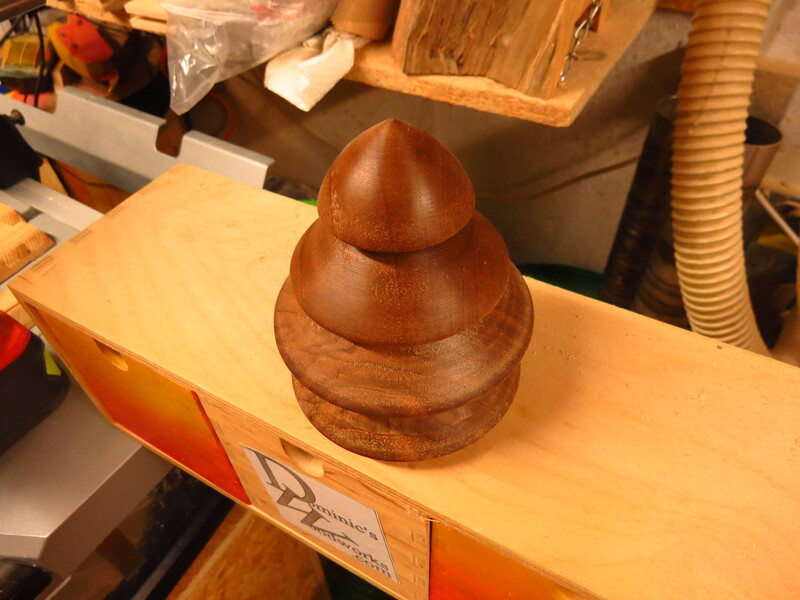 She makes a Christmas Tree Tealight Holder from walnut. Her patience for sanding is not the best, but as she says, this way you know you made it yourself. I have used the carbide cutter tools from Easy Wood Tools (no affiliation) before and enjoyed working with them. 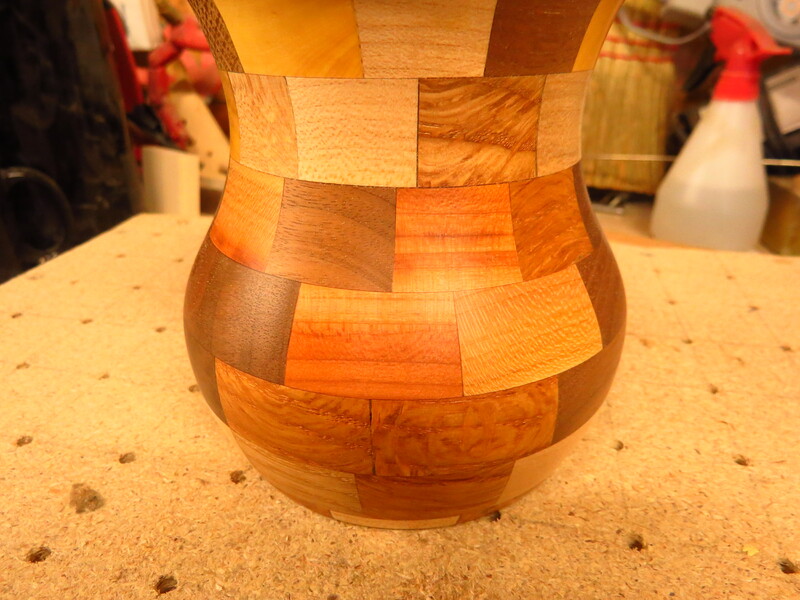 I also like using “traditional” turning tools since they present more of a challenge – when I feel like that. But it was not until I saw my daughter, a first-time turner, use them, that I realized how easy to use they really are. After working with tools in general for a number of years now, I think I have a basic understanding of what happens when something touches an object that is spinning fast – the forces involved and what is likely to happen. It was interesting to see someone who does not have that knowledge get to work with those tools, and from all I can tell, Nina enjoyed it and found it actually pretty easy to do. 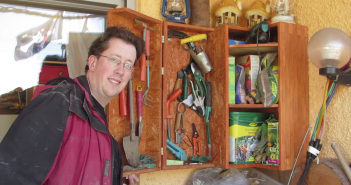 Holding the tool horizontal alone makes explaining the process that much easier. I have helped her and guided her from time to time, but despite my hand being close to the tool, most of the time it was her moving it. Judging by my own experience, that would have been almost impossible using traditional tools, with all the added dangers and things you need to watch out for. So speaking of Christmas, I firmly believe that a set of these tools (the rougher, the shaper and the detailer) would be a great present for anyone who wants to get into woodturning. And from there, who knows what they will accomplish, and what tools they might want to give a try later. Thanks for stopping by! While you are here, why not check out my other Christmas projects? Also, consider that in this time of giving (and at any other time), giving/teaching skills is a gift that virtually keeps on giving! And as always, remember to be Inspired! Also, this is our entry for the Christmas Ornament Challenge 2017. Check out the playlist with all the other entries and get inspired by those as well!